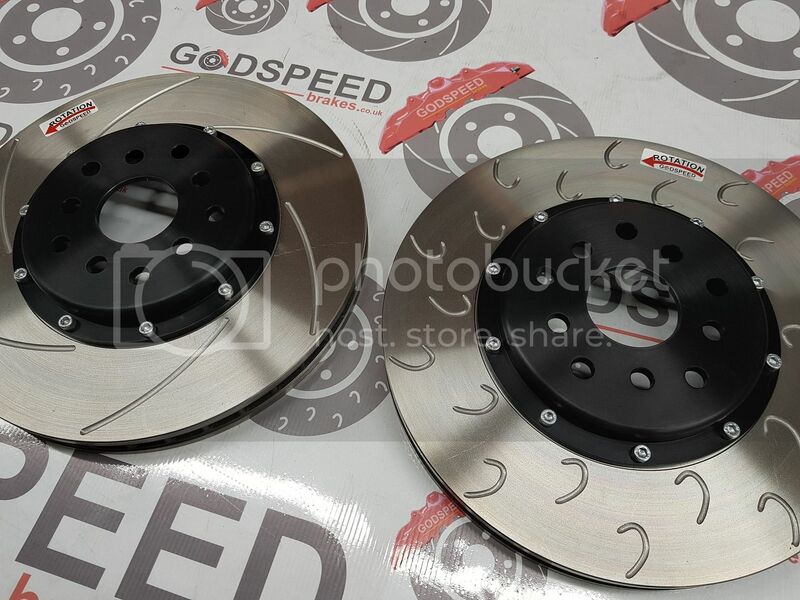 We have our 2 piece discs for the 2001 onwards STi on offer at the moment , they come drilled for both PCD's , so will suit all STi's from 2001 to todays model , as well as any Impreza that has been converted to Brembo's. Our bells are anodised black , and we can offer the discs with our 6 curved groove design , or our G hook grooves. As always these are covered by our 12 month guarantee against warping even if you do track days. The discs and bells are bolted together ready to fit straight on , there are no modifications needed to fit them , they are a straight forward bolt on disc. When the discs wear out , you only need to renew the outer rotor as you re-use the bells again. 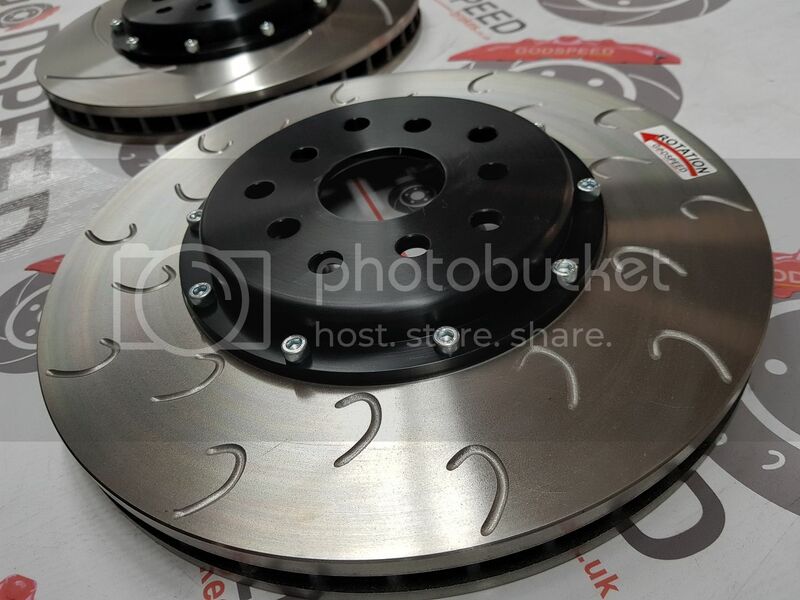 These discs are on special offer at the moment , cheapest on the market , and a 12 month guarantee ! Qq from here as well. What would be the price with CL RC5+ Pads? and shipping to Hungary? which are best curved or g hook ??? 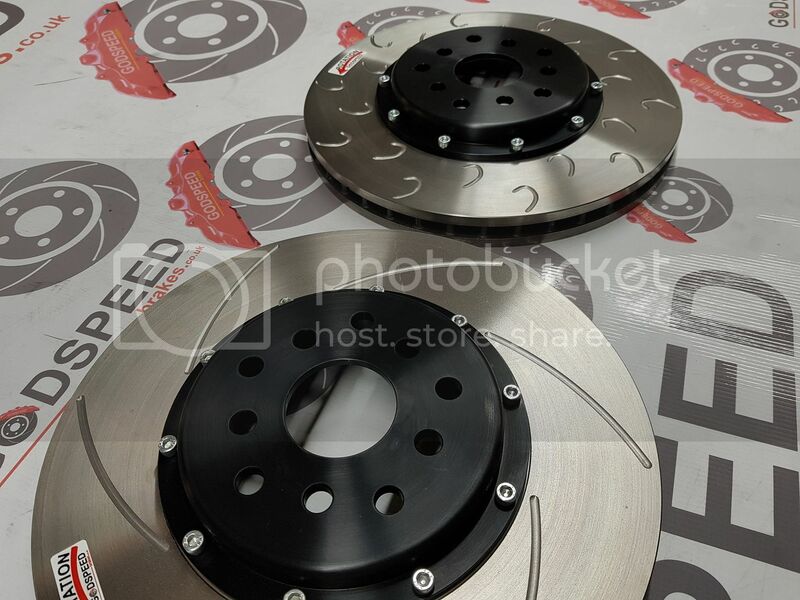 do you do discs and bells for the wrx brake set up?